Toby J Swager, 1990 graduate of Western High School, has written his first book titled, "Daddy Do My Socks Match? The Adventures of a Stay-At-Home Dad". The book is about Swager's adventures that he experienced while staying at home, raising his two young daughters. Because Swager is now a youth pastor at an Assembly of God Church in Hendersonville, Tennessee, he uses his countless stories to illustrate biblical truths in the book. Parents and grandparents will find themselves both laughing and crying, as they read this book. Swager also emphasizes the importance that father’s have in their children’s lives. He tries to teach that there can be humor in parents and how to follow God in daily decision making, and how parents should not be embarrassed to use the word ‘love’, with their children frequently. He also shares many humorous stories about the daily trials and tribulations about growing children, their bathroom encounters, playing with make-up and nap time. The book covers many topics that parents and grandparents can relate with, while laughing at the humor of the big picture. Toby Swager was born and raised in Jackson. He enjoyed writing at both Western Middle and High School and was told by teachers the he had talent. He now lives with his wife and two daughters in Nashville, Tennessee and works as a youth pastor. The book which was made possible by Tate Publishing, will be available in the spring of 2009. For more information on Swager, or to find out how to purchase his first book visit his website at http://www.daddydomysocksmatch.com/. 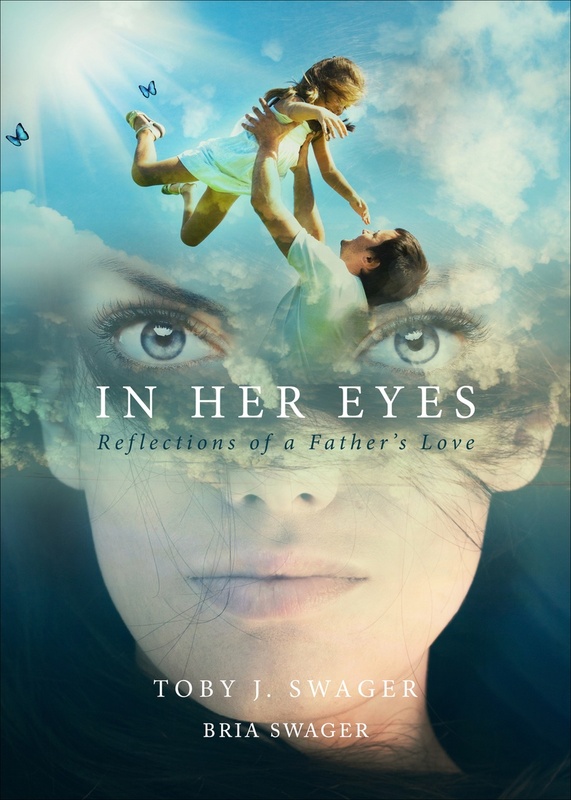 County Press - "Jackson County's Oldest Weekly Newspaper"
New book, In Her Eyes: Reflections of a Father's Love, by Toby Swager and Bria Swager scheduled for release by Tate Publishing on June 30, 2015. Purchase now through our Tate Publishing Author Page. "Daddy, Do My Socks Match?" is available on the Tate Publishing website at this link. "Daddy, Do My Socks Match?" available for order at Amazon.com. "Daddy, Do My Socks Match?" available for order through our store in paperback or audio. Some people travel the globe before discovering what Toby Swager learned just by staying home. Swager, a Jackson native, is the father of two girls, Bria, 10 and Lexy, 7. At that time, he was working in customer service at a pager shop. Pride was an obstacle for Swager as he adjusted to his new role. A Jackson native, Swager was honored with the ``Most Valuable Staffer'' award from the Citizen Patriot for his work on the Western high school newspaper in 1990. He and his family live near Nashville, Tenn. The book is available online at www.tatepublishing.com or www.daddydomysocksmatch.com. In March it will become available at Barnes & Noble, Waldenbooks and Amazon.com.